Initially tied a double knot of hat elastic to the button. Then tied another double knot approx 3.5cm along the hat elastic. Lastly tied a slip knot between the button and the other knot, so that you can slip the loop to increase or decrease the length of your Belly Button Jean Extender. What a life saver! After giving birth I never wanted to put on maternity pants ever again, yet I still had a belly and couldn’t fit into my old jeans straight away. 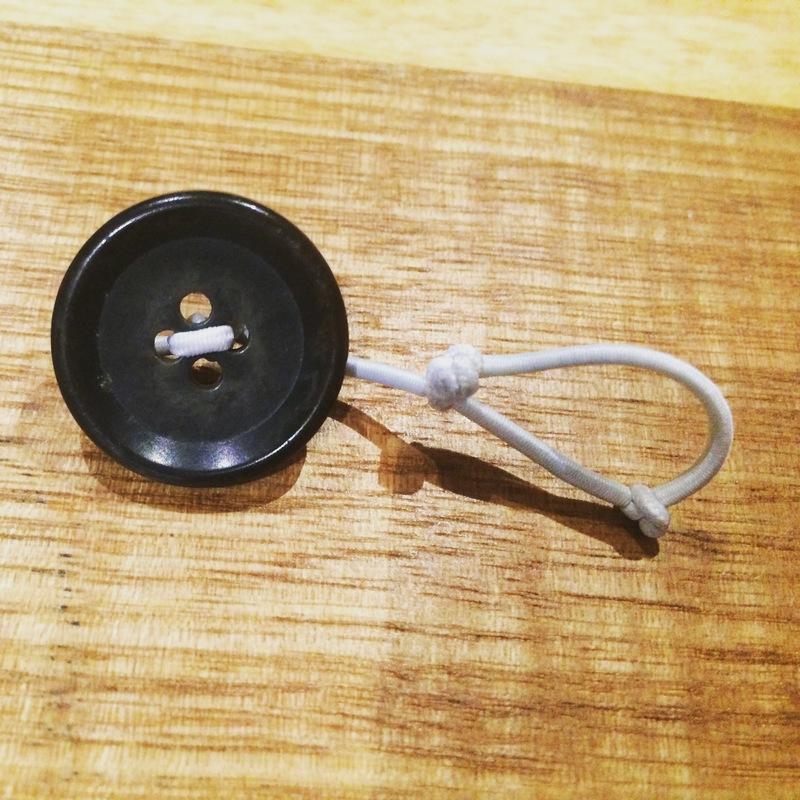 This cheeky little no-see button+elastic combo certainly did the trick. The slip knot is the key to making it very functional.